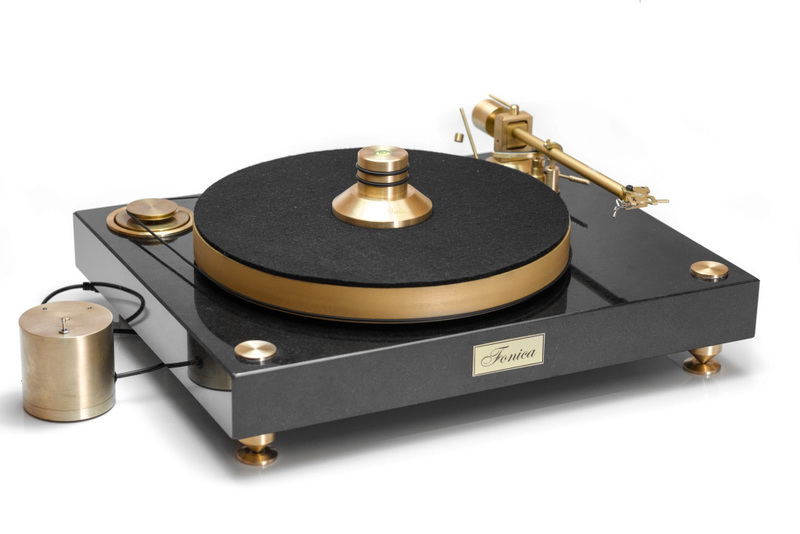 Shaped like a treble clef, made from granite or plated with gold, the high-end Fonica turntables manufactured by a small company from Łódź, Poland are truly remarkable. Audio-Fonica, the manufacturer, has been on the market since 2012 but the Fonica brand is much older, with a 56-year-long history linked to playback devices. Even though nowadays music is typically kept in digital libraries, there are still some physical sound recordings out there. Some even consider it stylish to have a run-down collection of cassettes or mini-discs, while others believe it safer to own a favourite record as an actual object rather than a folder that can be erased with a single click. Vinyl lovers, on the other hand, love records for their unparalleled depth and warmth. Vinyl records may seem outdated and laughably large by our present standards for miniaturising everything, but in fact they’re currently on the rise. In recent years, global sales of vinyl records have been growing markedly and this has much to do with their reputation for impeccable sound. This increasing interest in vinyl was one of the reasons why in 2012 Radosław Łodziato, an audiophile and businessman, founded the high-end turntable manufacturing company Audio-Fonica in Łódź, Poland. The turntables are sold under the brand name Fonica, a nostalgia-inducing name for some Poles since most audio equipment from the communist years was produced under that name. Many a party in the 1960s and 1970s was thrown to music played from Fonica gramophones, including the Bambino, the 1963 model that looked like a suitcase, and the technologically advanced Fonomaster introduced in 1972. In its heyday, the company produced over 400,000 gramophones annually, mostly for export. The demise of Fonica started in the early 1990s when the company’s exports to the Eastern bloc, the main source of its profits, collapsed. After about a decade of convulsions, the firm was definitively shut down in 2002. Ten years later, the Fonica brand was brought back to life by Mr. Łodziato. In 2012 Łodziato’s company, which had acquired the rights to the trademark, started selling turntables. It has to be mentioned that these are very different from the old Fonica devices, despite being their namesake. The new Fonica products are individually handmade in a small workshop to cater to the highest modern standards. The company’s line-up includes six models that all come in various, highly customisable versions (e.g. with gold-plated elements). All of the offered turntables belong to one of three style series: F-601, F-802, and Violin. The devices from the F-601 series have a curvy, four-leaf-clover-shaped base made from black acryl, while the bases of the F-802s are rectangular blocks of very heavy granite. The Violin turntables, the most spectacular of the lot, have acrylic bases in the shape of a treble clef and translucent rotary discs. 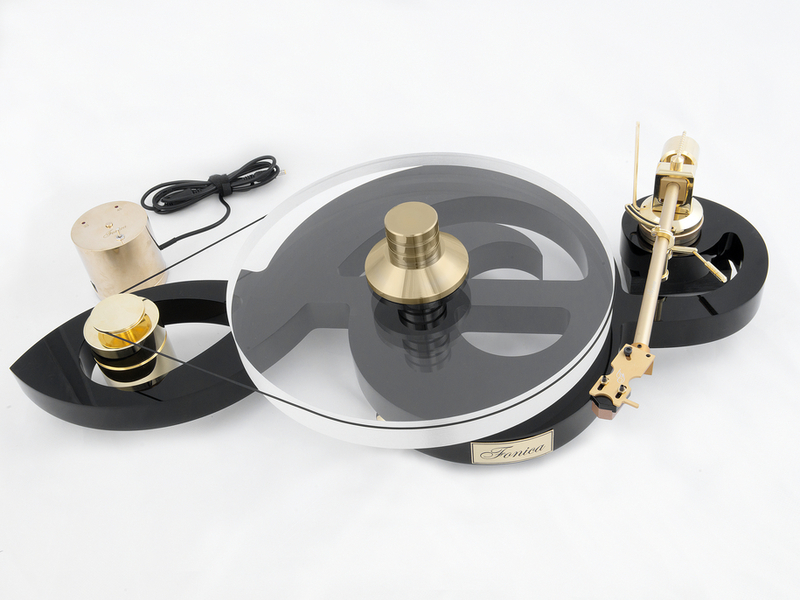 This last design is not only about aesthetic appeal: gramophones with small-surface bases like the Violin series vibrate only minimally, producing a unique and sought-after sound. The F-601 and F-802 series minimise vibrations with the weight of the base material, a different but equally recognised approach. 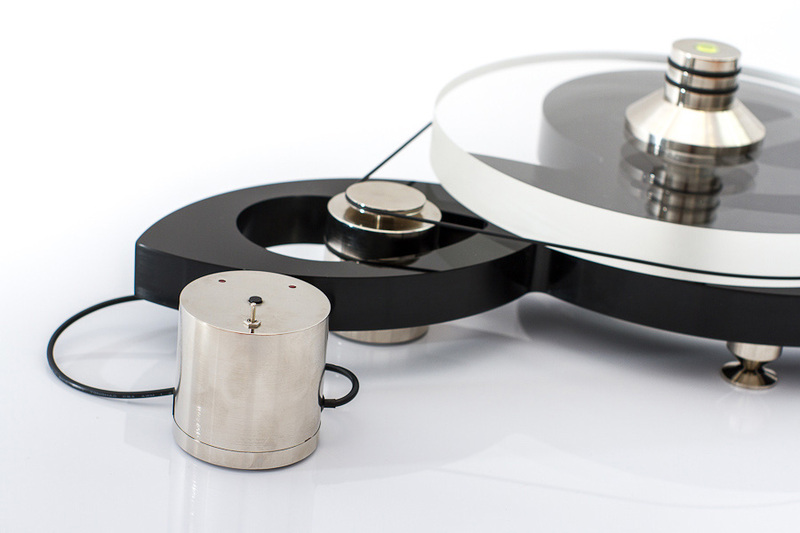 All of the new Fonica turntables are belt-driven devices that come with very precisely manufactured elements made from the best materials such as silver or black nickel. Their sounds have been described in specialist articles as ‘rich’, ‘coherent’ and ‘joy-bringing’. The only drawback of these products seems to be their price. As audiophile-grade turntables, they can cost a pretty penny indeed. When the F-901 VIOLIN + F-03 rev.3 model was being given the title of Best Product 2014 by High Fidelity, an online monthly magazine about the world of hi-fi, its price was set at a whopping €5,500. Written by Marek Kępa, 6 Mar 2016. Sources: highfidelity.pl, enjoythemusic.com, fonicamusic.com.